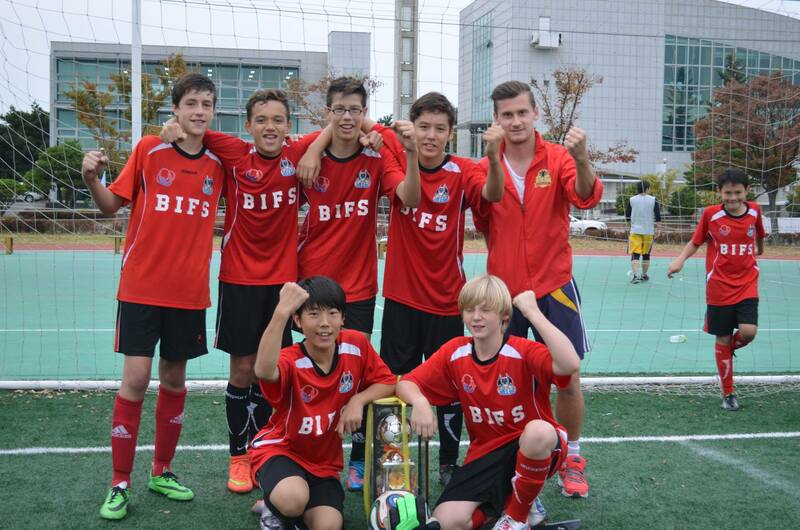 This past weekend BIFS MS Soccer traveled to Jeju Island for the KISAC Red Tournament. 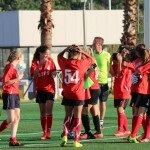 The girls team, comprised of Captain – Eve Seeberg, Goal Keeper – Marnie Stutsel, Defensive Line – Ali Zakirova, Erika Manrique, Midfield – Grace Montiero, Zoe Shields, Cayetana Pendergast, SeNa Julsdorf, and Striker – Kira Seggerty faced tough competition, but came out victorious; claiming their third trophy this season and making a clean sweep of all KISAC and SKAC tournaments. The Bears started the day against Branksome Hall with a quick goal from midfield by Monteiro, rousing the girl’s spirits to knock in five more goals (overall: Monteiro – 2, Seggerty – 2, Pendergast – 2) for a win of 6-0. Our strong defensive line allowed very few shots on goal. The second game brought the Bears against North London Collegiate- Second Team. The girls maintained their style of football with quick passing, fast-paced attacks, and a solid defense that brought the girls their second victory of the day with a 2-0 win (overall: Seggerty – 1, Shields – 1). Shields made a superb shot wide of the goal, utilizing a newly learned technique of curving the ball in to score. This was followed by an excellent run up the field by Seggerty to secure our second goal. 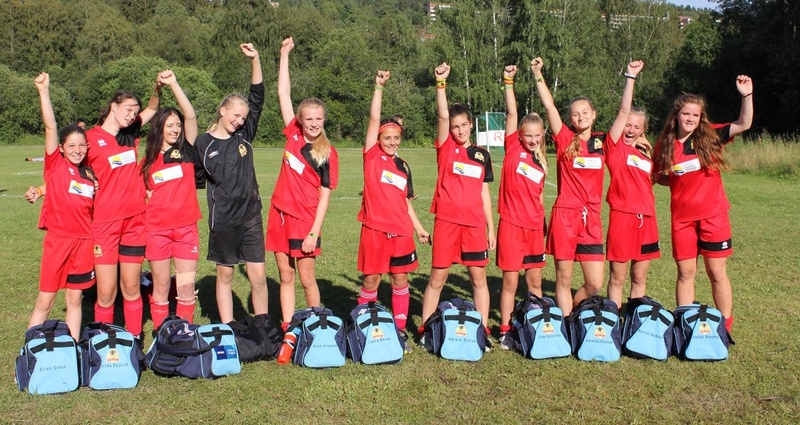 Nerves ran high as the girls entered the semi-finals facing a hard-hitting ISK team. Both teams played to their highest level, giving the supporters a fantastic game of quality football to watch. Clean passes allowed both teams to make quick breaks and really challenged the defensive lines. After an early goal by ISK, Pendergast came in clutch to calm the nerves of everyone on and off the field with a smooth knock-in, tying the game right before half time. Going into the second half, the Bears tirelessly shot on goal and managed to rack up three more goals; one being a brilliant run from the defensive side by Zakirova (overall: Pendergast – 1, Seggerty – 2, Zakirova – 1). Thanks to unwavering goal keeping, Stutsel made countless quality saves, throwing her body on the line to keep the ISK team to only two goals for a Bears victory of 4 – 2 and a spot in the Championship game. 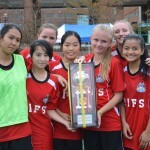 Preparing for the final game of the tournament and of the season, the girls yearned to defend the KISAC Red title BIFS had won last year and to become three peat winners for the 2015 MS Soccer Season. The Bears faced North London Collegiate – First Team in the Championship game. Previously defeating this team in a prior tournament, the girls were confident, despite exhaustion setting in. The game kept all supporters on the edge of their seats as the ball moved quickly between both teams, forcing the Bears to employ their strongest defending and smartest passing, yet. With outstanding touches and crisp passes, the Bears moved the ball down the field, allowing Shields to make a smart read of her teammates and move into position to complete an excellent shot, putting the Bears one goal closer to victory. With this goal, the energy on the field was renewed and the girls stepped up their game, putting the pressure on North London. The Bears fought ferociously for the title and employing techniques learned earlier in the year, made an excellent pass from midfield to draw the defenders to the side, which released Seggerty to make the final goal of the day, clenching the title for the Bears in a 2 – 1 win (overall: Shields – 1, Seggerty – 1). The girl’s team showed excellence all season long on and off the field, playing hard, playing fair, and showing true sportsmanship at every event. They played with their hearts and souls in every game and truly deserved the winning trophy. Even more amazing was to see how this group came together from all corners of the globe and played as one team; every player being as valuable as the next, making strong plays on the field and being supportive and spirited off the field. Congratulations, Bears! We could not be more proud of you! Both the Varsity and Junior Varsity Boys gave a great account of themselves at the KISAC Red Jeju tournament, putting together all they learnt throughout the season. The Varsity Boys played 3 very close and competitive games that both sets of coaches agreed was fantastic to watch. The determination and attitude shouwed by the players really underpinned their performances and they were unlucky not to go through to the final, losing out on a coin toss. The Junior Varsity Boys worked tirelessly throughout, scoring some great team goals as well as defending superbly with some last ditch tackles and top class saves. 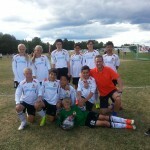 Their game against ISK was a particular highlight of the tournament coming away 2-0 winners in a closely contended battle. Throughout the season the boys played with great desire, showing their skill and ability improving with each game, never giving up even when coming up against older opposition. Great saves, smooth passing combinations and fluid attacks were a constant in each tournament. Seeing how far they have come from the first training session, both on and off the field, is something they should all be proud of. Reaching two semi finals and a quarter final is a great step to build from and I’m sure with their attitude and effort in training they can push on and bring home the silverware next season. 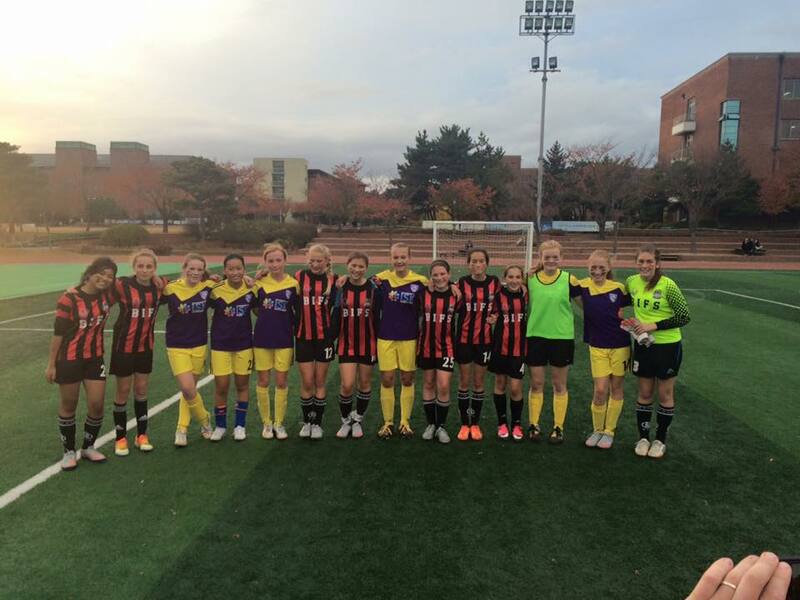 This past week the MS Soccer program again traveled to Handong International school and competed for the SKAC Futsal championships. 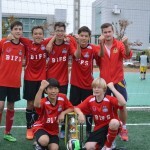 Having enjoyed great success in the preliminaries in Daegu in September where the girls and boys Varisty both went undefeated and the boys JV only lost one game, the travelling team was in a confident mood. The day started well with all teams getting early wins and playing some excellent flowing football. BIFS girls were early favourites having convincingly defeated all opposition scoring 11 and only conceding 1 in the group stages against a talented ISK team, thanks to superb saves from Marnie Stutsel and resolute defending from Captain Eve Seeberg as well as some potent goal scoring from Grace Monterio, Zoe Shields, Cayetana Pendergast and Kira Seggerty. The boys suffered a tough loss to HIS in the group stages going down 2-1, but there was plenty to be excited about with a spread of goals and some creative combination play resulting in goals from Danial Crichton, Marin Ikac and Theo Spjeld. Our JV boys dominated games with their intelligent passing football but could not quite find the cutting edge in front of goal to finish games off captained by the superb Jaylen Cuthbertson in goal making 2 world class saves which were applauded by the on looking crowd, goals from Kyle Park, Louis Van Der Wel and Sean Toms were well deserved and the boys move forward knowing they played good football and built upon the foundations which will ultimately bring them success. The Varsity boys advanced to the semi final having won 2 – 0 in the quarter final. In the semi they met a big and strong BLICS team however the BLICS team was no match for the BIFS slick football and individual skill in the final third. The BIFS boys bombarded the BLICS goal with attack after attack, if it were not for a outstanding performance from the BLICS goalkeeper the BIFS boys would have advanced. Unfortunately a lucky goal saw the boys go down 1 – 0, in the words of Joint Captian Marin Ikac “Sometimes I am disappointed when I leave the field after a loss, today I know we did everything we possibly could have done to win.” The BIFS boys will travel to Jeju in confident mood. Great job to both teams and all the players. 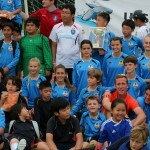 A big thank you to the Rising Stars soccer Coaches who have tirelessly coached and travelled with the kids this season. 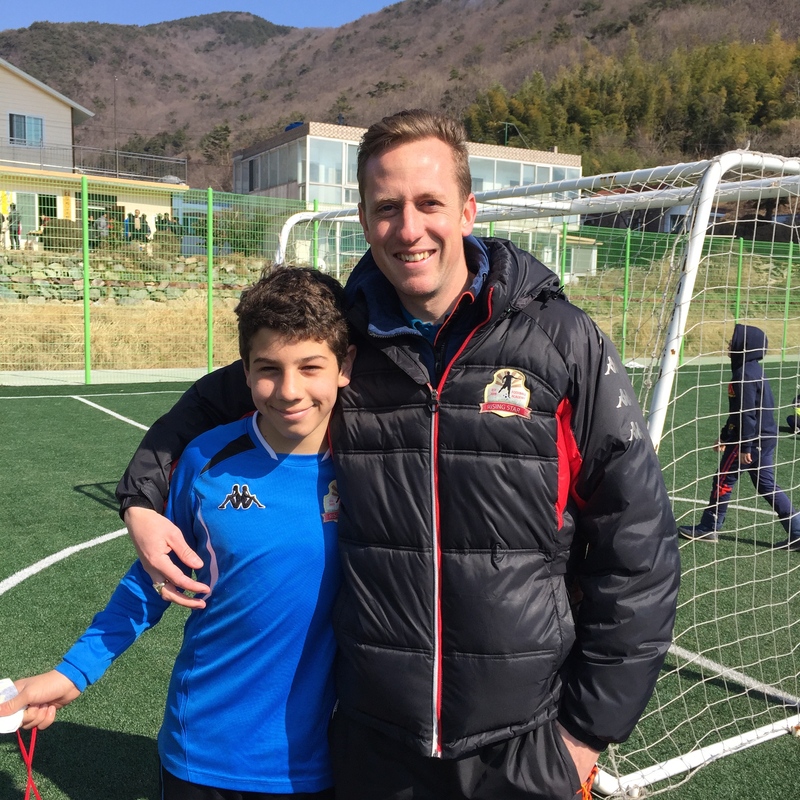 MS soccer has one last contest this coming weekend in Jeju Island for the KISAC Red Tournament and will have a great time travelling and competing with the KISAC schools from Seoul and Jeju Island. Good luck to all! 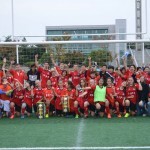 Our girls have been invited to play in a prestigious tournament hosted by Busan MOEand Busan I Park FC. It is an 11 aside 2 day tournament held on the weekend of November 28th and 29th. This will be a great experience for our players and although competition will be stiff, we believe we will be incredibly competitive and can win the tournament. We have long searched for a girls only tournament in Korea and this is our first opportunity to find one, so please do everything possible to attend. 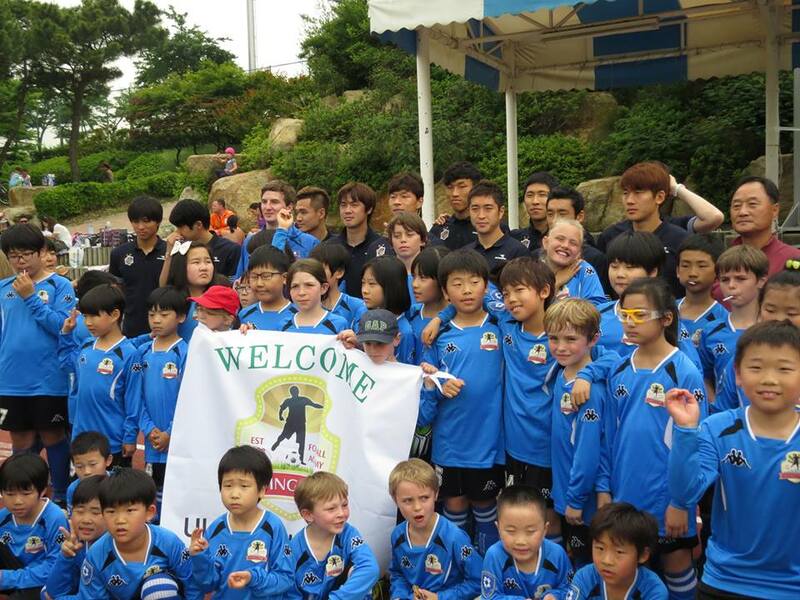 The draw and opening ceremony is on Sunday 22nd November at the Busan I Park home game. As many of our players should join if they are not already committed to a tournament elsewhere. 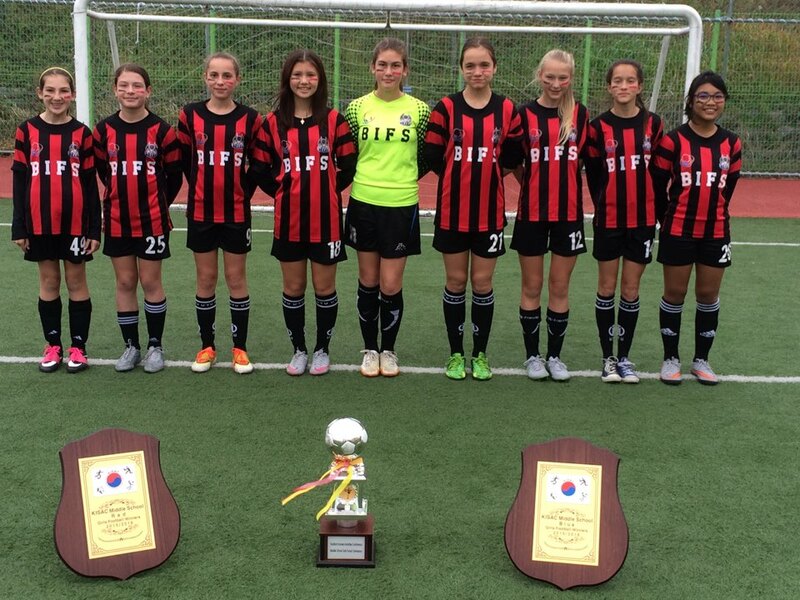 We understand that many of our girls will be in Jeju playing the Middle School KISAC Red tournament, so it would be great if parents could go along to the game and represent RSFA and their child. 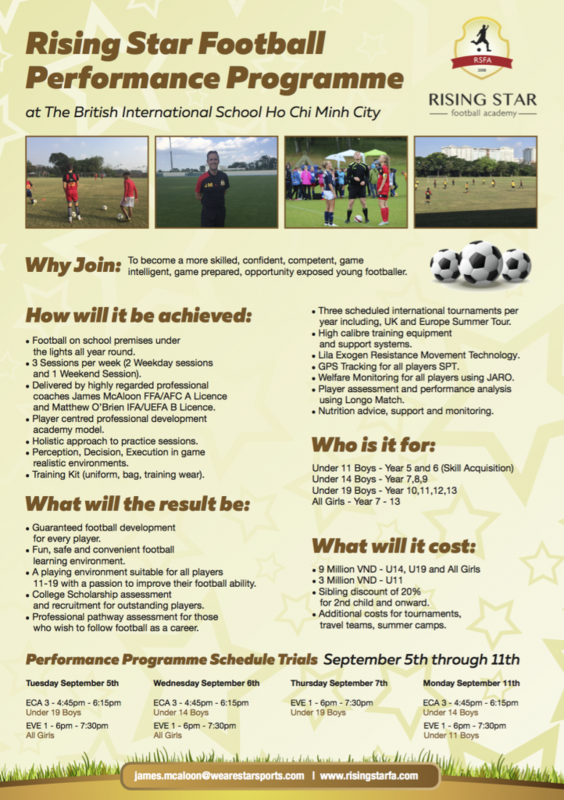 Please confirm your child’s willingness to attend this tournament by completing the form. At half time, draw for the schedule and the ceremony will be done. Match schedule is changeable if teams agree then. 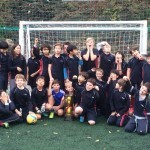 Preliminary league at some schools. Busan Asiad Main Stadium the Auxiliary pitch. Friends and family are welcome to the events. About ten U15 teams and four U12 teams are to play. Awards for the champs-3rd place, mvp, coach and souvenirs will be given. 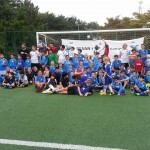 The Rising Star Football Academy summer tour to Europe 2016 is already in the planning. The summer tour is a wonderful experience for the players and provides a platform for them to demonstrate their talent to a wider audience, as well as developing their cultural horizons. 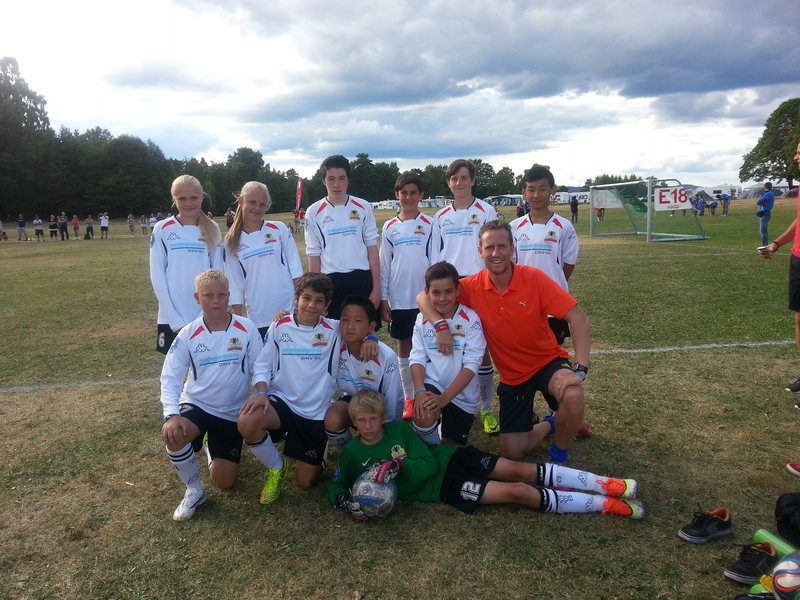 In 2014 and 2015 we visited the Norway Cup and had a superb experience, making lasting memories. Many parents have already expressed the desire to commit to the tour for 2016 so here is the first instalment. In an attempt to reduce costs and having surveyed the accommodation and accessibility for the DANA Cup we will most likely take the ‘Stay in School’ option in Denmark and the hotel option in Norway. All standard meals will be covered in the cost. First we must choose which tour length is most desirable for the majority of our players. The cost above is very much an approximate guesstimation it could be a little bit lower or a little bit higher, but it won’t vary extremely. Factors include corporate sponsorship and booking costs. We will also seek Corporate Sponsorship for the tour. Last year Horizon Resources International, Inpex, Sticky Fingers and the Wolfhound sponsored the tour and received excellent exposure in the local community, expat community, national and international media. We are hopeful that we can receive sponsorship again. If your company would like to assist please let me know. 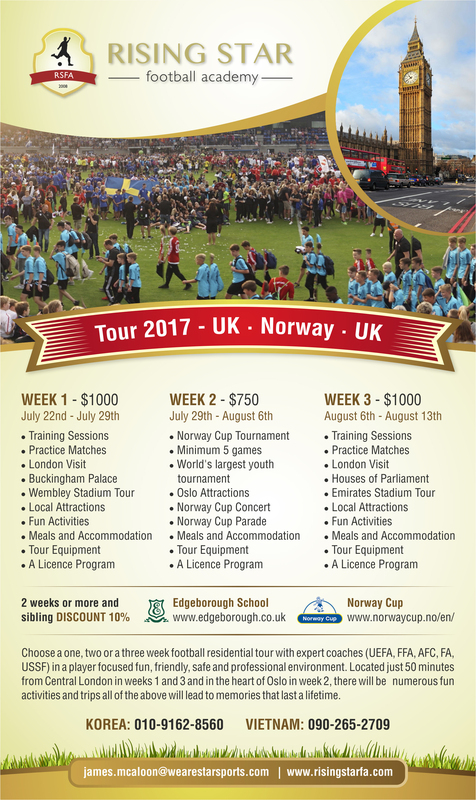 Depending on those who wish to tour this summer we will look at the possible age groups and categories which best fit our group. The minimum age of any player for this tour will be those born in 2006 and the maximum age those born in 1997. If your son or daughter falls outside that age group then let’s have a conversation to see if there is something we can work out. Throughout the course of 2015 we will be providing a spotlight on different aspects of the game. This week we are focusing on Tricks! 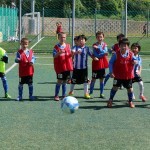 Tricks are fun and help players improve their concentration, poise and touch. Coaches have contributed their favourite tricks, not all are difficult and we would like you to try and replicate as well as innovate and send us some of your own tricks. 2014 was full of so many great memories for the coaches and players of RSFA, we played a lot of tournament football and futile and grew throughout learning how to become better players and better coaches. “Sometimes we have to lose, to learn how to win,” this was something we had to be aware of early in our adventures, coming up against older, bigger and physically stronger teams. We have now however developed the character to ignore the oppositions size and play our football. We work hard for each other, we play attractive passing football, we are clinical when necessary and we never give up. We can only hope that 2015 will lead us to as many exciting adventures as 2014 did and that we continue to grow as players, teams and coaches on those adventures. I would like to thank every coach, player, parent and supporter who has been a part of this journey and we look forward to sharing more great memories with you in 2015. Below are a list of the tournaments we attended in 2014 and any resulting silverware. 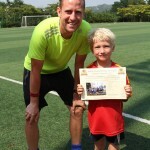 Coach James with Mathias Summer Camp 2014. We have returned safely from our trip to Norway where 11 children and 3 coaches enjoyed a magnificent tour. A further report will follow with details and in depth analysis from players, coaches, parents and fans. DNV.GL KOREA – www.dnv.co.kr – DNV.GL donated 4.5 Milionl KRW for the team, this supported the costs for accommodation, flights, and excursions in Norway. Without this money we could not have done some of the amazing extra activities that we enjoyed in Oslo. Please show your admiration for both these companies in your local community as they have given so much to our club by supporting us on tour.